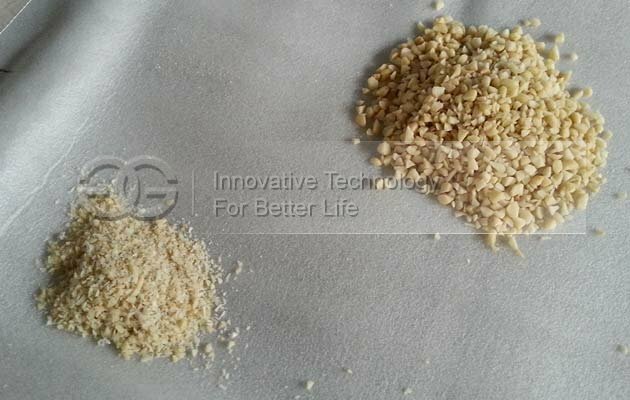 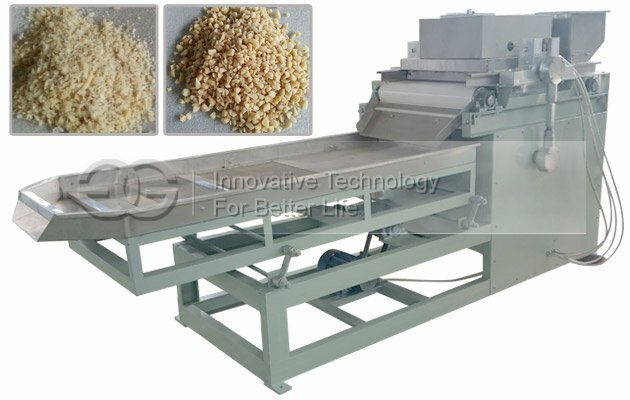 Suitable for cutting peanut, macadamia nuts, almond, cashew nuts into particles. 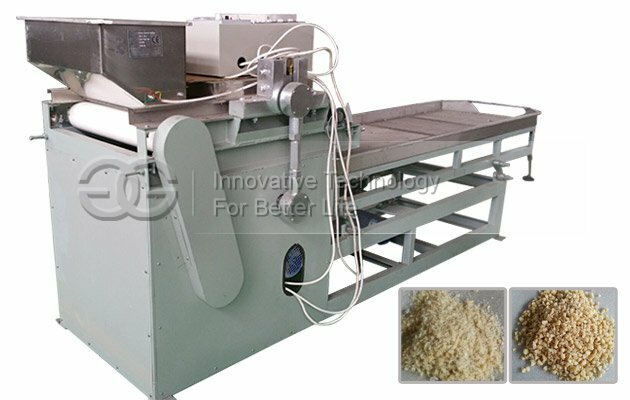 Reasonable structure, high efficiency, energy consumption, convenient usage. 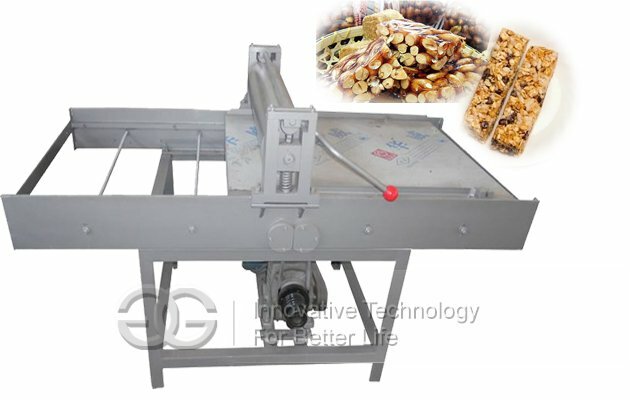 The peanut chopper cutter machine absorbs similar products advantages, has the features of reasonable structure, high efficiency, energy consumption, convenient usage. 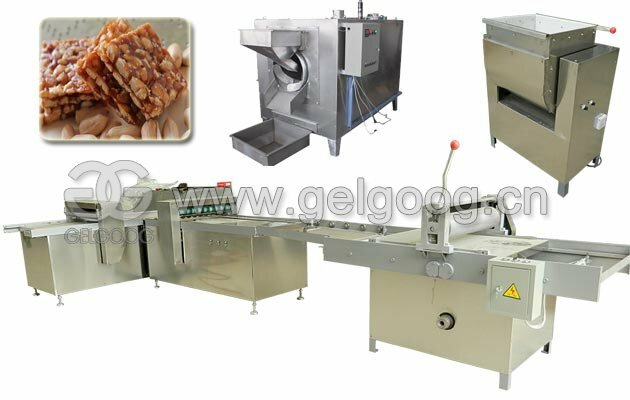 The cut product has uniform granularity, beautiful, low material consumption, no greasy phenomenon, is the ideal choice of the food processing industry. 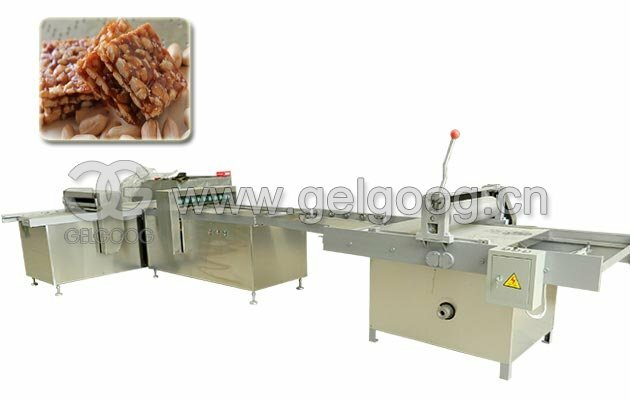 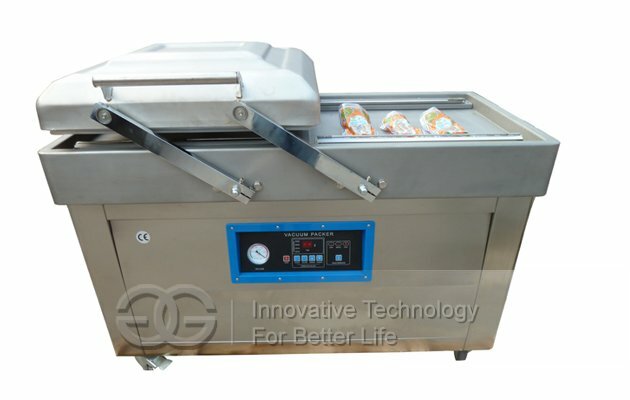 This chopping machine is mainly used in food processing industry, cut peanuts, almonds, walnuts, hazelnut, chestnut kernel into particles, into different size particles. 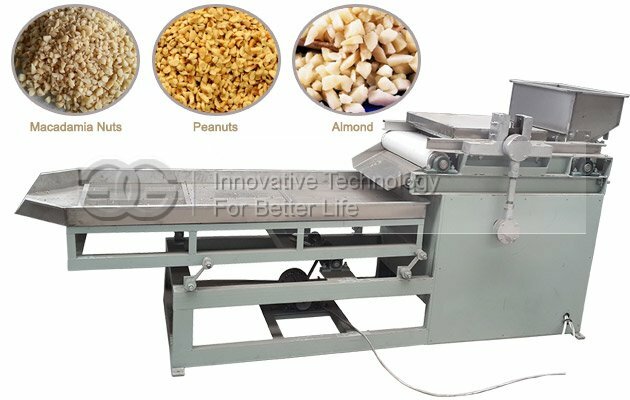 Peanut chopper machine is composed of hopper, conveyor, chopping device, vibration classification device, etc. 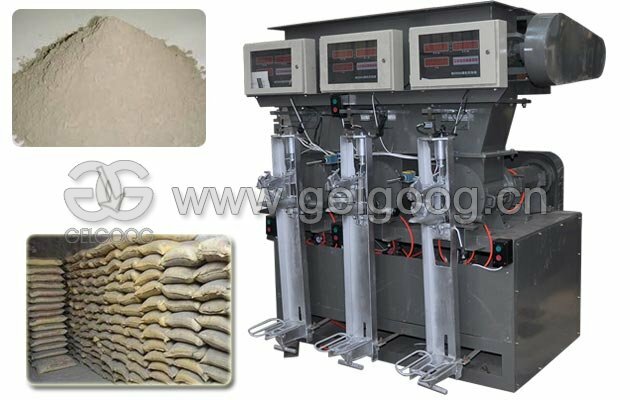 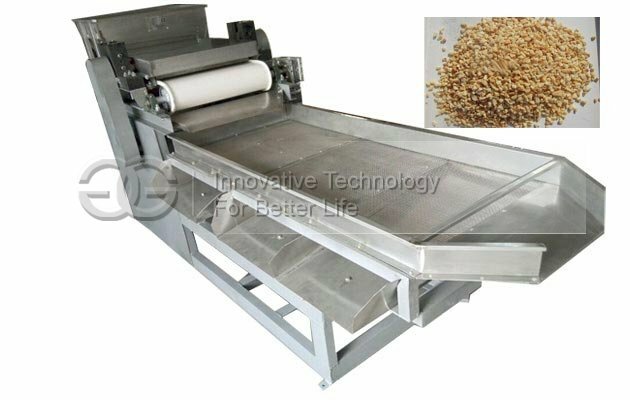 Put peanut through feeding hopper on the conveyor belt, which has adjustable speed, then send raw material into reciprocating knife for chopping into particles, and then screening by vibration device, receive desired specifications peanut particles.